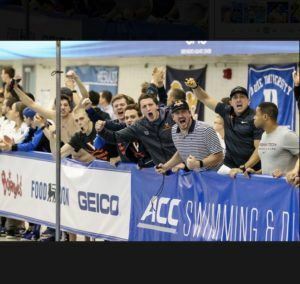 The first full day of the 2018 Men’s ACC Swimming and Diving Championships is underway. 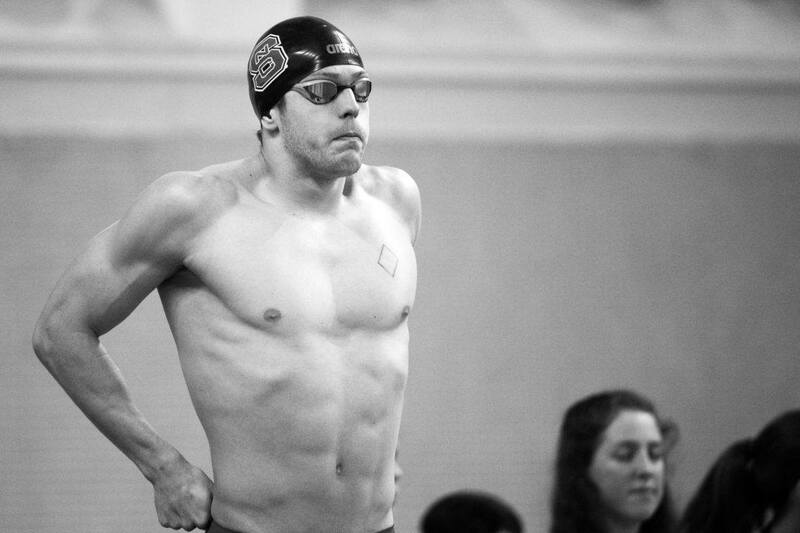 The NC State Wolfpack are favorites in all three individual events, with defending champions Anton Ipsen (500 freestyle), Andreas Vazaios (200 IM), and Ryan Held (50 freestyle). 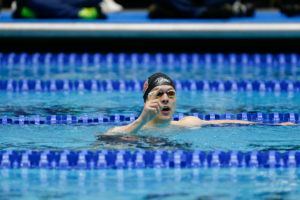 NC State started off red-hot with four swimmers in the top eight, including huge drops from Eric Knowles–whose previous best was 4:21.43 earlier this year, and just 4:23.29 a year ago–and Israeli freshman Gil Kiesler. However, tonight’s top seed is defending champion and heavy favorite Anton Ipsen, at 4:14.67. Notably, Virginia continued its momentum from last night with two swimmers of their own in the top eight, led by junior Sam Magnan (4:15.64). Youth is the other story of the event; four of the top eight finishers are freshmen, led by Knowles and Notre Dame’s Zach Yeadon. Andreas Vazaios of NC State ran away with the morning heats, putting down a 1:42.62; he’ll be the heavy favorite tonight. Louisville got big swims from the trio of Daniel Sos, Etay Gurevich, and Carlos Claverie to try to keep pace in the team race. Overall, with just 2 of the top 11 returning swimmers from a year ago competing again (including Justin Ress scratching in favor of the 50 free), the 200 IM was overall much slower than a year ago; Vazaios was the only swimmer under 1:43.5, while there were four swimmers under that mark in prelims a year ago. The star sprint duo of Ryan Held and Justin Ress both cracked the 19-second barrier this morning for NC State. While Held is both the conference and meet record holder in the event, Ress has been on an absolute tear for the past year, and could come out on top tonight. The Wolfpack got a third swimmer into the A-final in Giovanni Izzo; he finished sixth in 19.39. Andrej Barna of Louisville cut nearly three tenths off his best time to clock a 19.15, and may serve to be the best challenger to Held or Ress tonight. Notably, Justin Plaschka of Notre Dame, last year’s runner-up in the event, snuck in eighth at 19.51. And why do we get to see SEC prelims and finals and only finals in the ACC. Any way to get them to update the results?? Nothing showing at all in Meet Mobile yet.